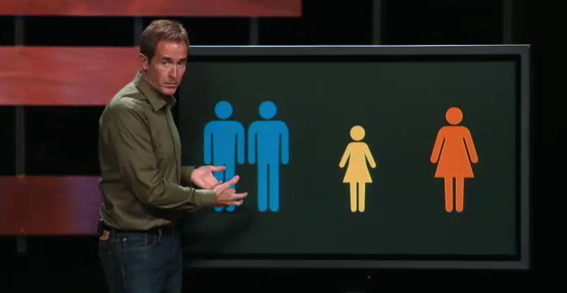 Sola Sisters: Is This Andy Stanley's Gay Affirming Shot Across the Bow? Andy Stanley explaining (with graphics prepared ahead of time) why one of the men in an unrepentant homosexual relationship needs to finalize his divorce before he can serve at Northpoint. The blue figures represent the homosexual couple, the red figure represents the abandoned wife. 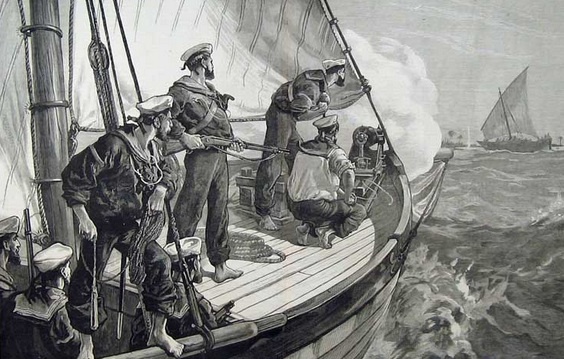 In the 18th century, a seafaring military action known as a "shot across the bow" began to come into common usage. This was a term used to describe a shot fired by one ship across the bow of an opposing ship to signal future confrontations. The shot was not meant to actually make contact, it was merely a warning signal that there were future confrontations to come from the firing ship. The obvious questions have to be asked: Is it even possible to frame up the scenario presented by Stanley (in which 2 - count them, 2 - marriages were blown sky high) in a way that makes sense unless a clear call for repentance is given? And yet, according to the Christian Post's article on the final sermon of this series, Stanley completely sidestepped the issue of homosexuality in this series.